The Range Rover Evoque was introduced in 2010 and since then, more than 700,000 units of Range Rover's entry-level luxury SUV have been introduced. Offered in several versions with several engines and a ton of versatility, the Evoque has seduced many consumers by offering just about everything you want from an SUV in this segment. With the all-new 2020 Range Rover Evoque, you get even more of everything that makes the model so interesting. The new Evoque offers several technologies that consumers want in their luxury SUV. Examples include Android Auto and Apple CarPlay systems as well as leather seats that can be adjusted in 16 positions. There is also an ionization system that cleans the air quality inside the new Evoque. 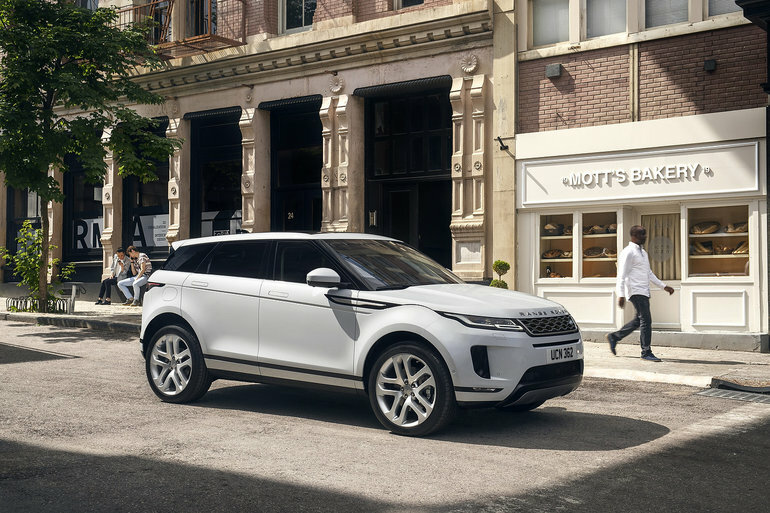 The new-generation Evoque is built on an elongated platform with a more generous wheelbase which translates into a larger interior and more cargo space. Passengers will also benefit of this added space. Under the hood, the big news is undoubtedly the addition of a lightweight 48-volt hybrid system that can propel the Evoque up to 20 km/h. That means saving fuel when you first accelerate and ultimately getting a much better gas mileage with the new Range Rover SUV. Several variants of the new Evoque will be proposed, just like the current model actually. We don’t have pricing information yet, but we expect similar prices as the current model. Other noteworthy elements will include 21-inch wheels will be available as an option. Then there is the ClearSight Ground View technology, a system that lets you see the surroundings of the vehicle as if the hood of our Range Rover Evoque was transparent. It's unique, exclusive and very useful. Come in today at Land Rover Decarie to learn more about the all-new 2020 Range Rover Evoque or the current model.